This course will introduce the learners to the fundamentals of the Federal Emergency Management Agency (FEMA) special flood hazard areas and Elevation Certificates. This course provides three continuing education hours for Realtors. 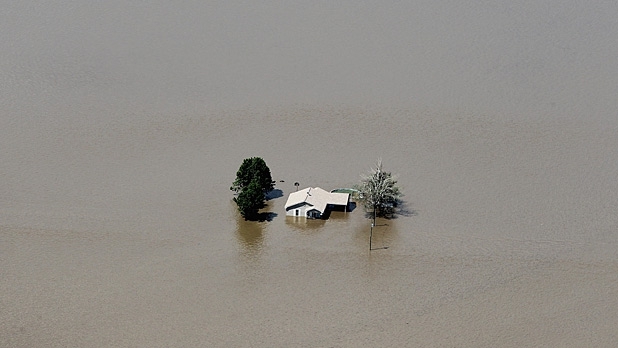 Tennessee Realtors who may encounter properties located within special flood hazard areas. Name and define flood plain features and FEMA terms. Identify the boundaries of the 100-year and 500-year special flood hazard areas for a specific property with a GIS website. Identify the boundaries of the 100-year and 500-year special flood hazard areas for a specific property with FEMA’s website. Prepare an Elevation Certificate for a property located in a Zone-A special flood hazard area. Module 1: Background Information The leaners should be able to identify the various elements of a flood plain and determine if a given piece of property is located with a special flood hazard area. Lesson 1: Nomenclature The participants should be able to:· Name the elements of a flood zone.· State the variables and terms used to complete an Elevation Certificate.· Define what a special flood hazard area is. Lesson 2: Online Resources The participants should be able to:· Access state or local GIS to determine if a property is located within a special flood hazard area.· Access FEMA’s website to determine if a property is located within a special flood hazard area. Module 2: Reading Elevation Certificates Learners should be able to determine if an Elevation Certificate is completed correctly. Lesson 1: Surveyor’s process for preparation of Elevation Certificates The learners should be able to explain the process employed by a land surveyor to collect the requisite data for completing an Elevation Certificate. Lesson 2: Reading Elevation Certificates The participants should be able to:· Interpret an Elevation Certificate.· Assess the relationship between the structure and the base flood elevation. Module 3: Preparing Elevation Certificates Learners should be able to complete an Elevation Certificate for property located with a zone ‘A’ special flood hazard area. Lesson 1: Preparing Elevation Certificates The participants should be able to:· Complete Elevation Certificates with guidance.· Demonstrate the proper method for completing an Elevation Certificate. Total duration for the Elevation Certificate for Realtors course is 3 hours (150 minutes of instruction with 30 minutes of breaks). Module Objective: The leaners should be able to identify the various elements of a flood plain and determine if a given piece of property is located with a special flood hazard area. Lesson Objective: The participants should be able to name the elements of a flood zone, state the variables and terms used to complete an Elevation Certificate, and define what a special flood hazard area is. Topic 1: The participants should be able to:· Name the elements of a flood zone.· State the variables and terms used to complete an Elevation Certificate.· Define what a special flood hazard area is. Explain:· Show a diagram of a typical flood plain and explain each element.· Introduce learners to the terms, variables, and definitions used by FEMA for Elevation Certificates.Activity:Given visual aids/handouts, ask students to identify the different features of a flood plain and an Elevation Certificate. Lesson Objective: The participants should be able to access state or local GIS websites to determine if a property is located within a special flood hazard area and access FEMA’s website to determine if a property is located within a special flood hazard area. · Determine if the subject property is located within one. Module Objective: Learners should be able to determine if an Elevation Certificate is completed correctly. Lesson Objective: The learners should be able to explain the process employed by a land surveyor to collect the requisite data for completing an Elevation Certificate. Topic 1: The learners should be able to explain the process employed by a land surveyor to collect the requisite data for completing an Elevation Certificate. Explain:· Discuss the processes employed by a land surveyor when preparing an elevation certificateActivity:Ask leaners to explain how a surveyor measures a structure for an Elevation Certificate. Lesson Objective: The participants should be able to interpret an Elevation Certificate and assess the relationship between the structure and the base flood elevation. Topic 1: The participants should be able to:· Interpret an Elevation Certificate.· Assess the relationship between the structure and the base flood elevation. Activity:Hand out various completed Elevation Certificates.Explain:Explain each section of an Elevation Certificate, reminding the learners of previous terms.Activity:Have learners identify the base flood elevation, the structure’s elevations, and explain if the structure’s relation to the base flood elevation. Module Objective: Learners should be able to complete an Elevation Certificate for property located with a zone ‘A’ special flood hazard area. Lesson Objective: The participants should be able to complete Elevation Certificates with guidance and demonstrate the proper method for completing an Elevation Certificate. Topic 2: Practical Demonstration The participants should be able to demonstrate the proper method for completing an Elevation Certificate. Activity:Provide the learners with blank Elevation Certificates, a building diagram, and internet access so they can complete the Elevation Certificate for a property located in Zone A.Explain:Provide minimal guidance and assistance in the completion of the Certificates.